Western Digital has a good brand name for external storage. 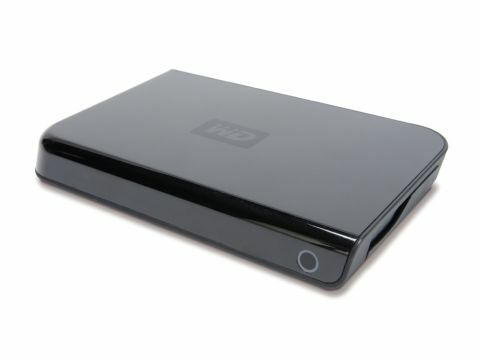 We particularly liked its MyBook Pro desktop drives last year. Those drives came with loads of connection options, including speedy FireWire 800 and 400 ports in addition to USB. Following in that drive's success is this smaller, portable drive. It carries the same good build quality but fewer features because of its size. One plus is that you don't need another power supply or batteries with the Passport - it's USB powered. It's also quite diminutive and will slip into a shirt pocket. The Passport runs quietly and is fairly rugged. There's no on/off switch, and no driver installation is necessary. It just comes to life when the USB cable is docked. There are four capacities to choose from (120, 80, 60 and 40GB) and two colours - black or silver. All have the same 5,400rpm drive inside. If you're new to external drives, you'll find it significantly slower to read and write to than your internal drive. We clocked its data transfer speed at just over 15MB per second, which is average for external USB-only powered drives. A single FireWire port instead of a USB port would have sped things up, and other brands, like Formac, do offer this option but at a higher price. Inside is data encryption and WD Sync software, but it's Windows-only. You'll have to buy Mac-compatible backup software to get the same features. Dantz Retrospect (EMC) or Data Back Up (Prosoft) are two products to consider, but there's no out-of-the-box data encryption for Mac users. Apple recently bumped up the size of hard drives in its laptops, so if you bought one, you may not need this drive. For those on older laptops, it's an acceptable choice. Or, if you like to tinker, you could build your own external drive for pennies. It's a fairly painless process that involves buying a drive and caddy and wiring them together.